Hyderabad, Jan 11, (way2newstv.in): In the Secretariat, Telangana Tourism and Culture Minister Ajmer Chandolal, along with Tourism Secretary Burra Venkatesam, released the International Kite, Sweet Festival wall magazine. 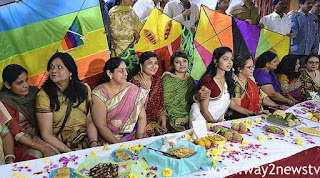 Speaking at the occasion, Minister Chandulal said that during the Sankranthi festival in Secunderabad, the Telangana Tourism Department is organizing a joint festival with the International Kite Festival and Sweet Festival from 13th to 15th of this month. This Sweet Festival is the first time in the world to make 1000 sweets on the same platform. We have created counters for the sale of these sweets, manufactured by the people of different states and countries in Hyderabad. 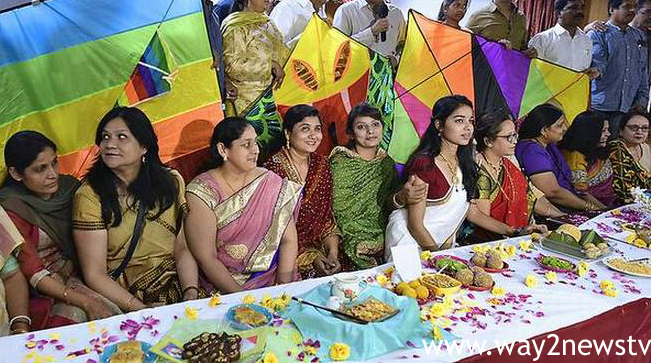 Tourism and Culture Secretary Burra Venkatesam said that the city of Hyderabad is the international city and it is maintaining a sweet festivals at the level. The women from different states will be able to make Mini India by making sweets at the same counter. According to various cultures and traditions, sweets that are prepared according to the traditions are replicated in unity. Along with 15 countries, 1000 sweets manufactured by women from 25 states will be available at all costs. Hyderabad has made arrangements to bring international recognition to the city. More than a million visitors are coming every day. Kite, at the Sweet Festival, explained that he was giving free access to them.